This cake is a perfect combination of Oreo and Chocolate. 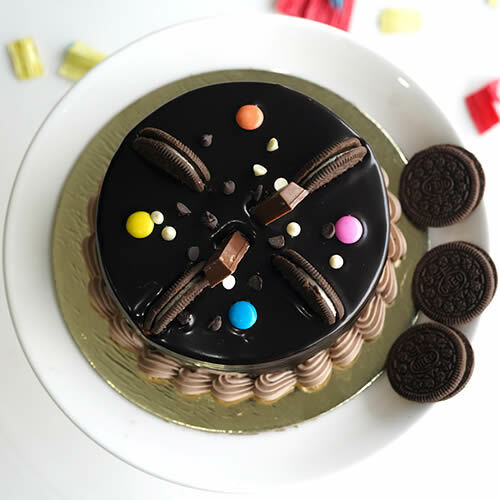 In this cake, Oreo is beautifully designed on it. 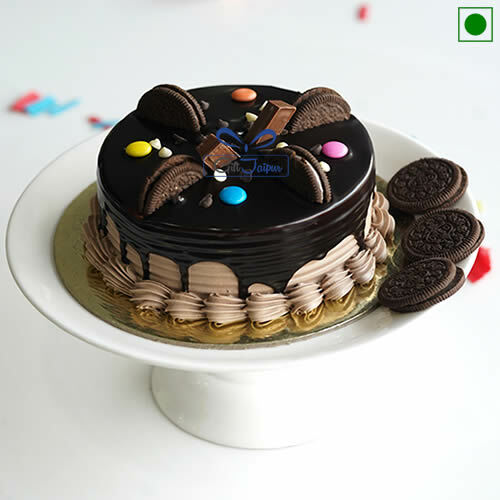 This is an amazing cake for Oreo cookie lover. You can gift it to any Oreo and Chocó cake lover. This is a mouth-watering cake. Ones you taste it you will taste it again. This Chocolate Oreo Cake is a fabulous celebration cake. Surprise your wife on her birthday or anniversary. Surprise your friends by gifting them this hamper on your farewell or fresher. Diabetic should take Extreme care while having cake. The delivery guarantee may not apply for timings: Valentine’s Day, Mother’s Day, Friendship day.